Excel-də gizli hesabatı kölgəyə necə əməl etmək olar? Qeyd: Yuxarıda göstərilən kodda nömrə 1 bu Target.Column = 1 Sonra skript, hiperlinkləri olan sütun nömrəsini göstərir, xahiş edirik, sizin ehtiyacınızı dəyişdirin. 2. Daha sonra gizli hesabatı bağlayan köprüyü tıkladığınızda, bu kod penceresini saxlayıb bağlayın, gizli hesabat bir anda açılacaq. VBA kodu: Gizli hesabatı açmaq üçün köprüyü izləyin. 2. Köçüylə vurduğunuzda, kodun pəncərəsini bağladıqda reklamı dərhal saxlaya bilərsiniz, əlaqəli gizli hesabat dərhal açılacaq, lakin köprülər olan əsas səhifəni geri qaytarsanız, açılmış hesabat yenidən avtomatik olaraq gizlənəcəkdir. QeydBu tezislər yalnız köprü mətninə uyğun olan hesabat adlarına tətbiq edilir. I would like to use this code but only want it to apply to column A. I have other web address links in other cells which cause a problem when running this code. I'm using the code on two different sheets. It works for one of about 40 hyperlinks on one sheet and it opens two of about 10 hyperlinks one she second, the sheets on the second which do open do go back into hiding when I return to the sheet. Any ideas as to what change is needed make the code work on all of the sheets? I have used this code on two different sheets in my workbook, and in both cases it works great, except for the first hyperlink on each page. I get "Subscript out of range error" and the debugger points to the "Sheets(strLinkSheet).Visible = True" right after the "end if". [quote name="HelzBelz"]I have used this code on two different sheets in my workbook, and in both cases it works great, except for the first hyperlink on each page. I get "Subscript out of range error" and the debugger points to the "Sheets(strLinkSheet).Visible = True" right after the "end if". 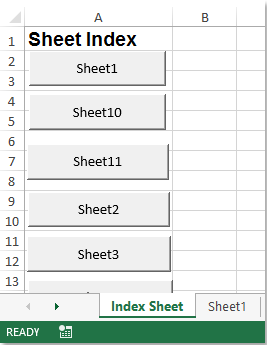 Sheet names can't have space like "Sheet 1". 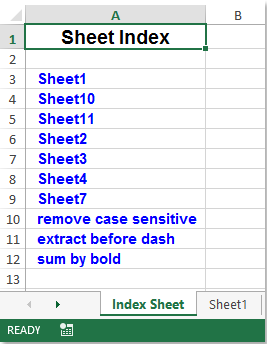 I fixed my sheet names to "Sheet1" and the error stopped. 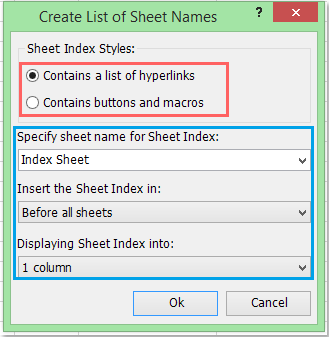 I have a sheet that is hidden that contains a hyperlink. I would like to be able go to the hidden sheet and have it close when I go back to the original sheet. I used the code but it does not work.